Are you ready to Level Up? Contact us today to receive a complimentary Fitness Assessment. We offer one-on-one training, buddy training, & small group training. Click here & fill out the form below. No purchase necessary. Are you ready to change your life? See the Snap Fitness difference for yourself! We invite you to try our gym for free before joining. Click here and fill out the form below. Not valid with any other offer or discount. Our next 8 Week Transformation Challenge starts 2/18/19. To learn more, enter your information below and a representative from Snap Fitness Andover will be in contact shortly! Molly has been a fitness enthusiast for as long as she can remember. She grew up participating in various sports, and in high school she was a state champion sprinter. She graduated from UW-Madison in 2011 with a degree in Psychology, and shortly after she discovered her love of weightlifting. Molly initially became a certified personal trainer in 2015. During that time, she competed in numerous run-bike-run duathlons and also began bodybuilding. She competes in the figure category, and in May of 2017 she earned her IPE Pro card. Molly is a vegetarian and lover of all animals – especially dogs. Molly is passionate about helping people live healthier lives and empowering people through weightlifting. Fitness has impacted her life in so many positive ways, and she wants to help others experience the same positive transformation. She is deeply interested in the connection between mental and physical health, & strives to help people look & feel better – both inside and out. 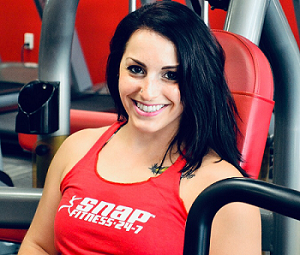 Alezah began as a member of Snap Fitness in 2016, and after gradually taking an interest in fitness, she became a Certified Personal Trainer and a Certified Group Fitness Instructor through NASM (National Academy of Sports Medicine) in 2018. Her interest in fitness quickly grew into a passion for exercise science, health, nutrition, and strength training. Shortly after receiving her certification, she started teaching group classes and small group training sessions. Alezah is excited to be able to share her knowledge and continue to grow while she helps others change their lives. Alezah is positive, caring, knowledgeable, driven, and helpful. If she doesn’t know something, she will put in the work and research to obtain the knowledge. Welcome to Snap Fitness Andover, MN! Are you ready to level up in life? Whether you’re new to working out or are a fitness fanatic, we’ve got the right staff, equipment and services to meet your needs. No need to worry about being stuck in a long-term contract because we have flexible month-to-month memberships for individuals, joint accounts (two people in the same household), and family memberships. Ask us how to save money when buying pre-paid memberships. We are a 24/7 gym and we offer personal training, small group training, Booty Boot Camps, virtual classes, functional training, and Transformation Challenges. Snap Fitness Andover is approximately 5000 square feet. Come and experience a fun and friendly culture unlike any other gym out there. 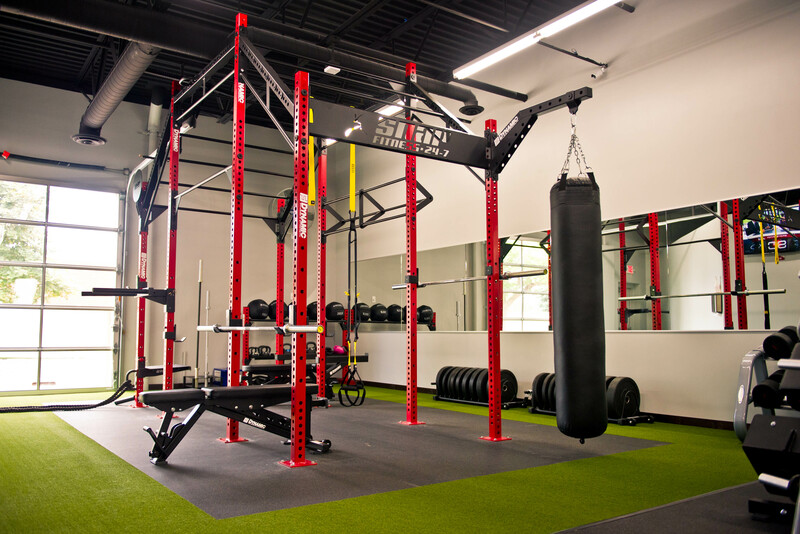 In addition to the standard cardio and strength training equipment, at Snap Fitness – Andover you can get Personal Training, 24-Hour Access, TRX Training, outdoor training, a Fitness and Strength Training Rig that offers a variety of cross functional training amenities (if you have done CrossFit then we have the equipment for you), high intensity stations such as battle ropes, free weights, kettlebells, multiple squat racks, ball targets, power sled, monkey bars, pull up bars, landmine attachment, punching bag, etc. You will also have access to PRIVATE bathrooms with showers! 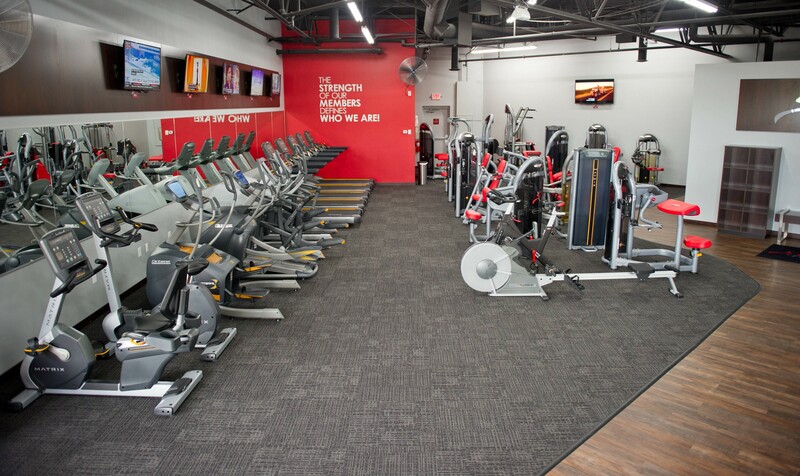 Snap Fitness Andover also has circuit/selectorized machines, rowing machine, spin bikes/exercise cycles, Stairmaster, plate loaded equipment, dumbbells, squat racks, multiple benches, high-end ellipticals and treadmills, and a fitness studio where you can access Fitness on Demand classes. Come and check out our NEW equipment! WE also offer MYZONE. MyZone is a heart rate monitoring system that helps you track your progress and effort, keeps you motivated! MYZONE sends exercise effort readings to screens around the club in real-time. Through a series of color-coded tiles you always know precisely what heart-rate zone you are training in. Fitness On Demand (FOD) offers virtual group, or single use, classes that you can access at any time of the day/evening. With hundreds of classes available on request, you can choose from the industry's most popular exercise videos like yoga, TRX, dance, HIIT, cycling, boot camps, Jillian Michaels classes, Ripped, etc. FOD offers classes at various fitness levels and lengths of time. Customize your membership to include additional services like personal training (1:1 or 2:1), Small Group Training (3 to 6 individuals), boot camps, transformation challenges, virtual classes on demand, and more. Snap Fitness Andover is locally owned and operated with friendly, fun, and knowledgeable staff. We are involved with several community activiites and events and we also enjoy supporting local youth programs. 5K Fun Runs, and more. 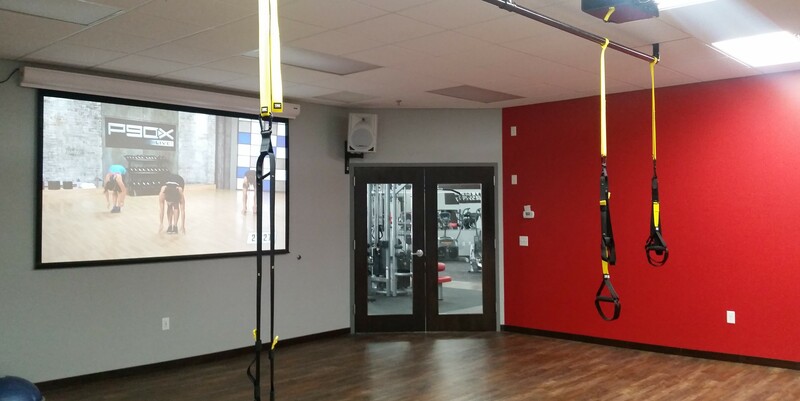 Snap Fitness is a 24/7 facility and members have access to 2,000 locations worldwide. We offer convenient membership options. Our mission is to change lives with our result-driven culture both inside and outside our gym walls. Our goal is to encourage, motivate and drive our members to success. We are here to show support and ensure every member reaches his or her potential. You can email us at Andover@SnapFitness.com, call us at 763-489-0001 or you can follow us at www.facebook.com/snapfitnessandover and on Instagram at www.instagram.com/snapfitness_andover. Are you ready to Level Up? Get Started Today!